There are six of these grey glass flower shades available. 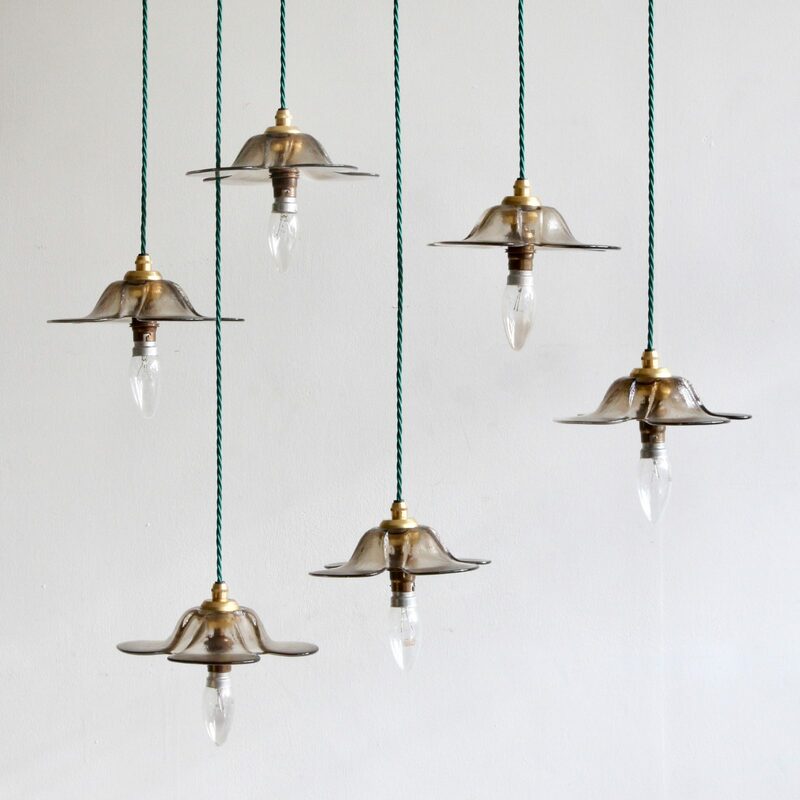 They date from the early 1900s, are handmade and have a charming irregular texture, complete with air bubbles. They can be sold separately but look splendid when hung in series. 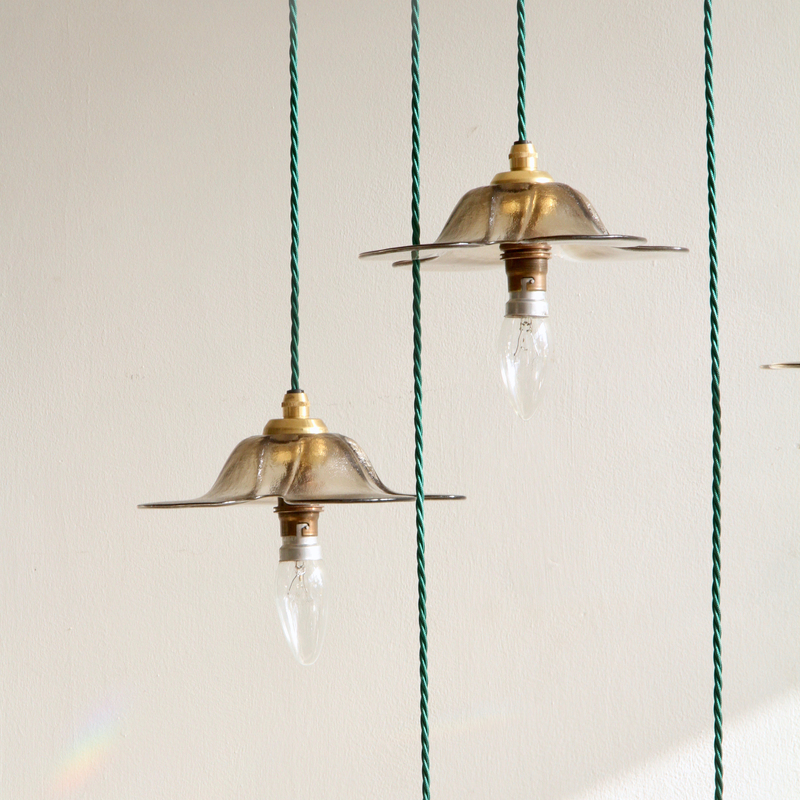 Each shade includes 80cm of green braided cable and ceiling rose.